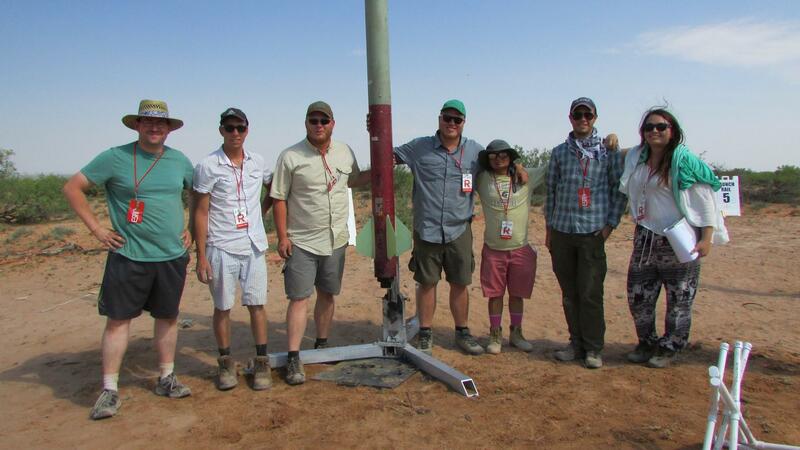 The AAIA at UIC Rocketry Team won the Target Altitude challenge at the Battle of the Rockets. The American Institute of Aeronautics and Astronautics (AIAA) at UIC Rocketry Team outshined 24 teams to win first place during the Target Altitude challenge at the annual Battle of the Rockets (BOR) 2017 competition hosted by the Federation of Galaxy Explorers in Westover, Maryland. UIC successfully designed and built a rocket to fly on any commercial certified G-level rocket motor to an altitude of 1,213 feet. UIC came closest to the 1,213-mark for the win. The team also safely recovered the rocket to fly again, which is one of the requirements of the competition. Some of the colleges UIC competed against included Northeastern University, Northwestern University, George Mason University, Worcester Polytechnic Institute, University of Maryland, College Park, Montana Tech, and Case Western Reserve University. The UIC team was made up of students Tom Javorskim Michal Pekala, Patrick Begalowski, Kevin Mallari, Marcin Maksimowicz, Rachel Cruz, Eduardo Ocampo, Matt Valenzeno, Jeff Groenhof and Corey Habel. Marcin Bialon was the team lead before graduating in December with a degree in mechanical engineering. Valenzeno said that Bialon got the team started on the right foot, with the first version of the rocket built early in the fall and test flown a number of times before winter break. UIC’s AIAA chapter was formed in 2011 for students with a passion for aerospace engineering. The organization designs and builds high-powered rockets, remote controlled aircrafts and quad-copters.